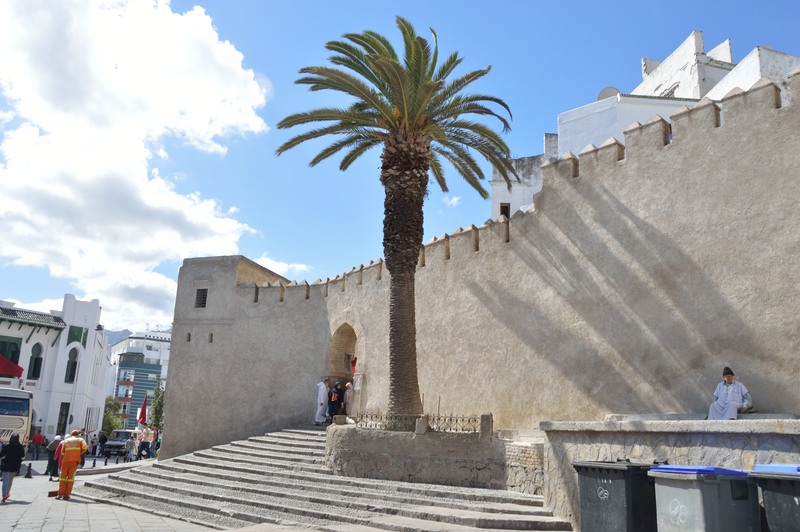 As part of my tour for Spain I was able to sign up for a day trip excursion to Morocco; Tetouan to be exact. We took a ferry and crossed the strait of Gibraltar early in the morning. 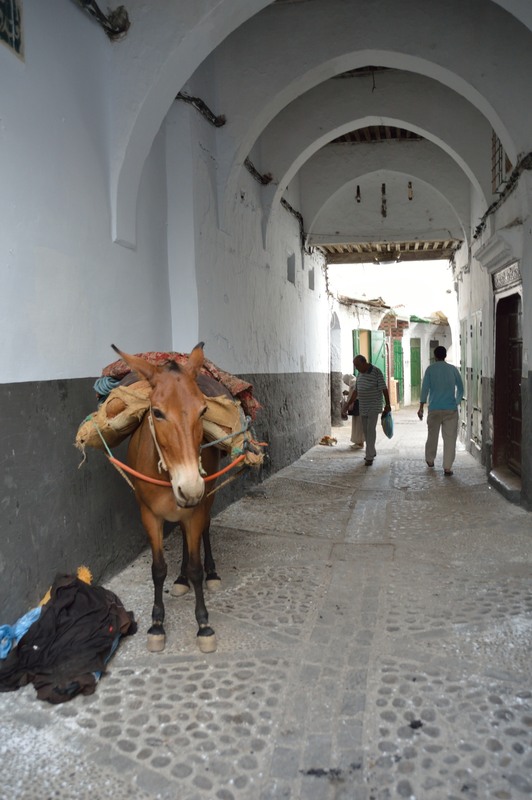 Once we arrived we were met by our tour guide and we were off to the Medina (marketplace) with a couple stops along the way. Once we were on the road I started noticing that the Moroccan flag was raised everywhere! The tour guide stated that since the king was in town the flags were symbolizing it. 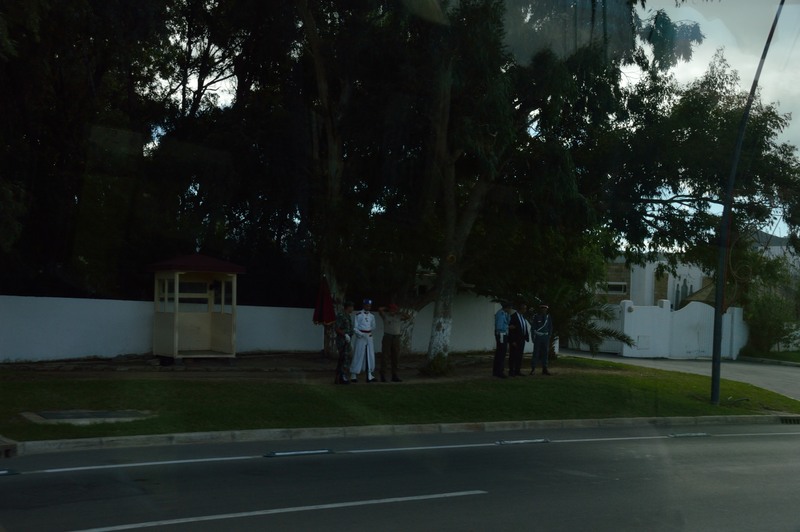 I saw armed guards lining the streets – mostly the area where the king was staying; I even saw white uniformed men! I’m guessing they were the equivalent of our secret service. We stopped to ride a camel and take pictures on it, of course! 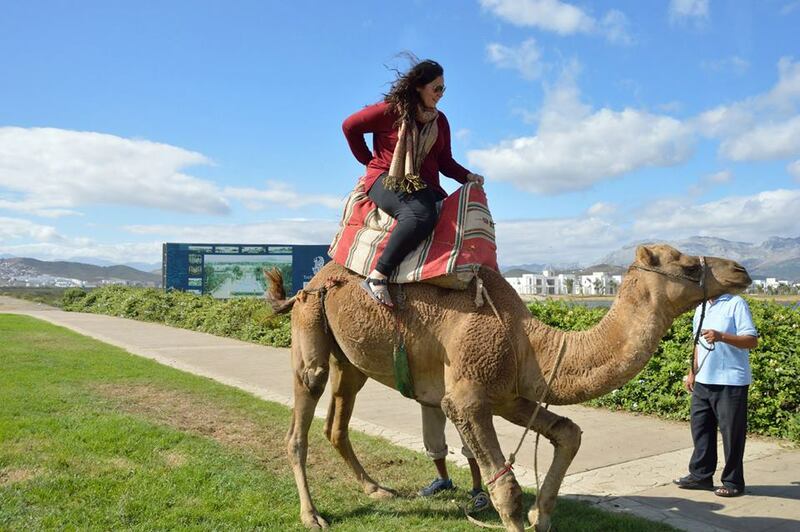 I survived the camel ride! 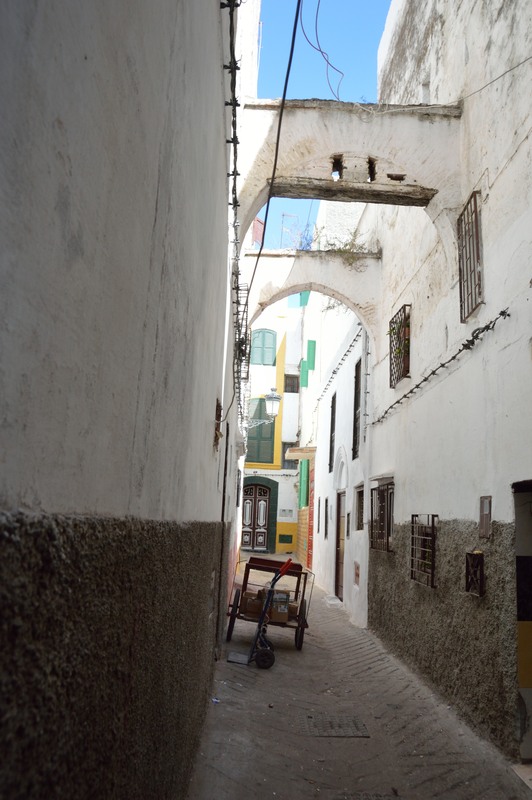 Once we get to the Medina we are met with another tour guide who was going to make sure that a group of 16 American girls were well protected while walking the alleys there. First thing I notice when getting off the bus is the fact that the Medina is enclosed. The smells of the different spices and other items wafted through the air and it was something that I am definitely not used to smelling! Also different sights from what is considered the norm in America. 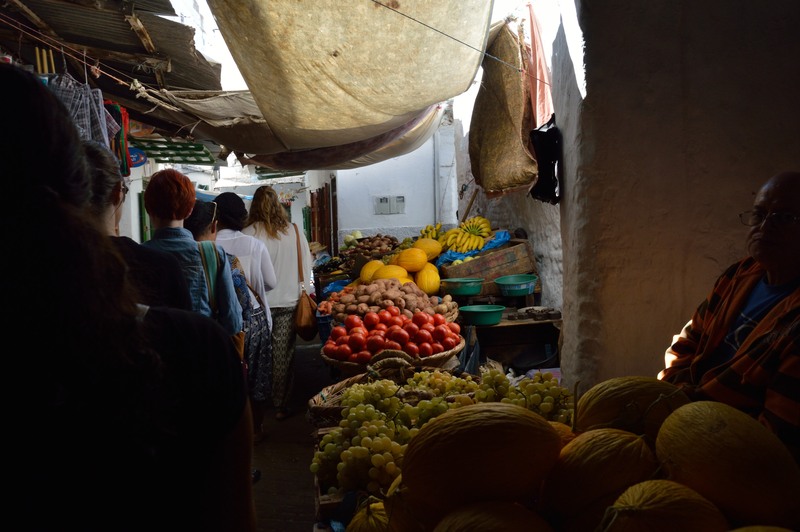 The alleys had a lot of stands of either fruits, vegetables, some type of protein, etc. 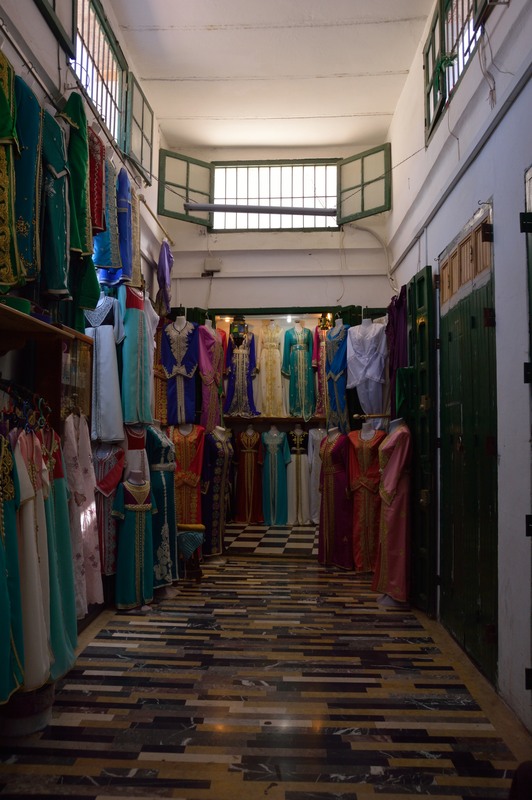 There were probably a whole lot more tailor shops – walls full of thread rolls and typical Moroccan wear. Wedding dress shop – so gorgeous! We saw a lot of farmers and we were told that they usually make a daily trek of, sometimes, 50 miles to get to the Medina to sell their harvest. 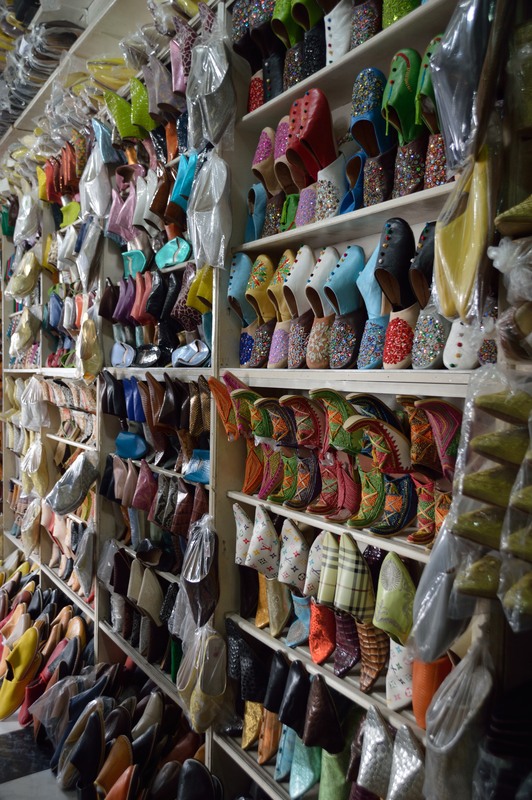 They are distinguished by their attire. I unfortunately was unable to take a picture of them because they do not like to be photographed. There was one moment though whenever I was looking down and saw the feet of a lady and they were bleeding. I felt sympathy for her because she is a farmer and I could not think what it must be like for her to make a daily journey to the Medina and sell her life’s work. The means of transportation for most farmers – a mule. Taking this trip to Northern Africa added another continent on my travel list! I was definitely humbled by being able to see how this country lives by and I am so thankful that I live in a country that lets me have the freedom to be able to do and say as I please, even more, freely express my faith! I love being able to see different cultures because the way that we live in America is not the only way that people should live – the people in less fortunate countries just seem so much happier than us! Is it because they focus more on the quality of life and not quantity of materialistic things?